A tour birding today with guests just wanting anything we could see with just one request for a Golden Eagle if possible. I love these tours when there is no pressure to find certain species but guests just pleased to see anything. Today we saw 56 Species of birds including 3 White-tailed Sea Eagles, 2 Golden Eagles and a male Hen Harrier, 4 mammals including Otter and Red Deer and 3 Slow worms. I saw my first Common Sandpiper of the year and first Willow Warbler, other notable sightings were Manx Shearwaters in large numbers with quite a few Guilliemots, Kittiwakes and a single Gannet of Cailaich Point. A dipper was seen as were 2 Grey Wagtails as the wind dropped so migration has started in earnest. 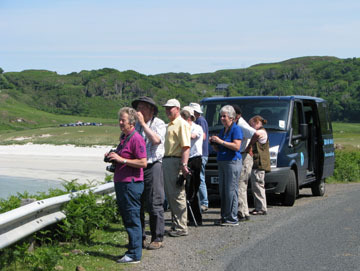 Discover Mull is a wildlife and bird watching tour based on the Isle of Mull near the scenic village of Dervaig. We take you on a journey to look for the special Flora and Fauna, Historical, Geological and scenic sights for which Mull is renowned. 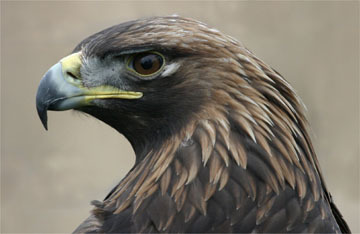 White-tailed Sea Eagles can be seen over large sea lochs, Golden Eagles flying over rugged mountains, Hen Harriers and Short Eared Owls hunting over the moorland glens where Red Deer graze throughout the summer. 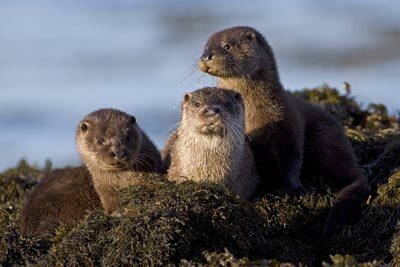 Find secluded bays where Otters can be seen playing and fishing in the kelp with Common and Grey Seals basking on the rocks and small islands uncovered at low tide. Look out for Porpoise flitting through the waves as they hunt for food their fins glistening in the sunlight or Basking Sharks the worlds second largest fish trawling for plankton close in shore. A chance of Bottlenose Dolphins or a Minke Whale as you watch and wait and let the cares of the world gradually drift away as you take in the timeless scenery that Mull has to offer. Lose yourself as you watch a Grey Heron patiently waiting for a meal on the loch side or a family of ducks or geese drift by and a Skylark, full of the joys, sings its wonderful song as it climbs to great heights above your head or an Oystercatcher noisily tries to see you off if it thinks you are too close to its nest. All this is what a holiday on Mull is all about, " what is life if full of care, I have no time to stand and stare" A holiday on Mull lifts your cares away, leaves you renewed and ready to take on the world again....until your next holiday on The Magical Island Of Mull. The tours lasts for up to 7 hours and you will be returned to your pick up points. We advise guests to wear waterproof walking shoes and to have wet weather clothing with them. We take our tour out 6 days a week, Sunday to Friday. We do not do a tour on a Saturday. Tour times and pick-up point may change from when you book so we ask pre-booked guests to ring us on the evening before their tour to confirm all arangements. Please note that we do not take dogs on our tour. ‘It is your day out and we aim to make it one you will always remember’. We operate a flexible and friendly tour business and hope you enjoy this site. to take a tour as well as any dietary requirements. What you get in the price on your day out with us We provide all your refreshment needs for the day which includes morning coffee or tea with Pam's home baked biscuits, lunch, with hot home made soup, a must have on Mulls cool spring and autumn days, and afternoon tea or coffee and home made cake which includes Pam's now legendary lemon drizzle cake. We also provide for guests with special dietary needs such as vegetarians or celiac. We carry 2 good quality Kowa telescopes for guests to use on the tours to enhance their viewing experience with us, we also provide quality Canon and Opticron binoculars for any guests who might require them to enable them to get a much better view of the wildlife we see. We carry field guides for birds, flowers and rocks on the van so that guests can check up on the many species we see during the day. 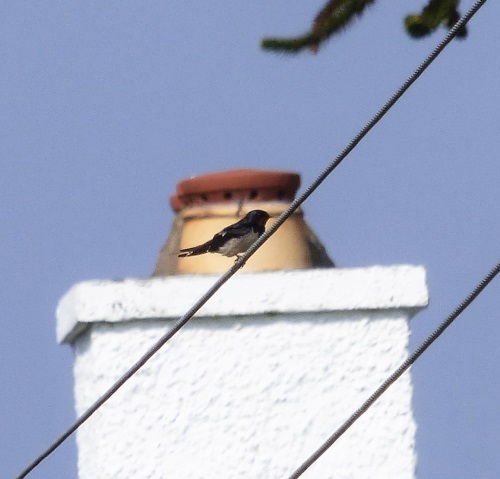 We also provide a tick list so that guests can check the species they have seen on the day in comfort either where they are staying or when they return home to remind them of their day out on Mull. Our van is large and comfortable with lots of leg room and running boards on either side for ease of getting in and out. There is space for guests belongings on the day. 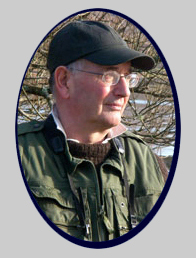 A tour leader with a sense of humour and 17 years experience of looking for and finding wildlife, of putting guests needs and requirements first, with comfort breaks at the top of the list. A leader who tries to give guests an individual day out although there are up to 8 in the van and he cannot remember your name. A tour you will always remember, hopefully for the right reasons and a jolly good fun day out. 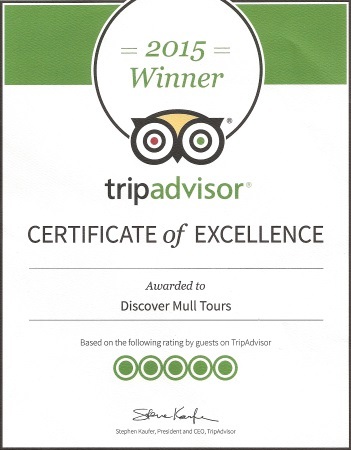 We would like to thank our tour guests again for their unsolicited support for our tours on Trip Advisor. For the second year running we have been sent a Certificate of Excellence from the organisation which was totally unexpected but it does please us that so many of our guests enjoy the tours as much as we do. So a big thank you to you all for your continued support, may we never take it for granted and continue to give you all a happy, pleasant tour. 'It's a Dreich old day' said Arthur, yet there in the telescope was not one but two white-tailed eagles. Sustained by flasks of soup and stacks of sandwiches we waited out the weather. Even though through the mizzle their was plenty to see - an otter catching fish, seals and deer. By 4pm the clouds finally lifted and the islands feathered population came out in force - including greenshank, gooseander, whimbrels and eider ducks. The bird of prey count shot up - a pair of golden eagles soared above us, and sparrowhawk, kestral and buzzard all took to the skies. Famous for its wildlife and rugged landscapes, a visit to the Isle of Mull promises an experience like no other. One of the top locations in the world for discovering wildlife, a tour around this island's natural habitats is a must for anyone with an interest in flora and fauna who are holidaying in Scotland. for a truly personalized journey around the island a 'Discover Mull' guided tour comes highly recommended. The couple receive great feedback and many of their customers return year after year to relive this very special experience. The Wildlife on Mull is as exciting as anything Africa can offer. Your guides are Arthur and Pam Brown, who have the tracking skills of the Masai and the baking ability of Mr Kipling. 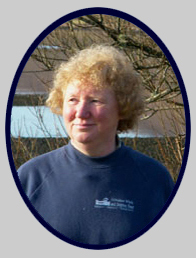 Pam Brown co-runs ‘Discover Mull’, a fine wildlife tour on the island, with her husband Arthur Brown. We saw otters, deer and countless birds of interest and rarity. Pam makes good sandwiches, extraordinarily good lemon drizzle cake and great tea. Mull is a naturalists' heaven with several ecologies wrapped in one small island, but we wouldn't have seen a quarter of what's on offer without Pam & Arthur's insider knowledge. You get a class act when you hire them for a whole day, along with some comical patter and Pam's home-made veg soup, sarnies, flapjacks and cake. 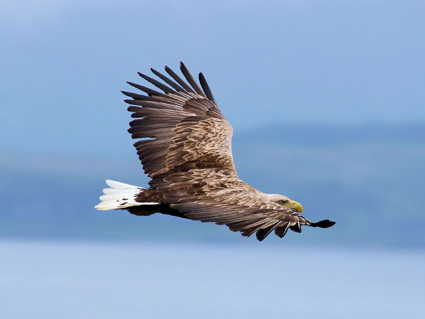 Mull has a variety of habitats & is the premier place in the UK to see Golden Eagles, White-tail Eagle & Hen Harrier. Also Peregrine Falcon, Merlin & Short eared Owl. All 3 Divers, Slavonian Grebe, Sea Birds, Waders and many small birds. Red Deer on the hills and Fallow Deer, Otters are regularly seen and in the lochs Grey and Common Seal, Dolphins, Porpoise. Hares and also Highland Cattle and Hebridean Sheep. Primroses, Bluebell Woods, Yellow Flag Iris, Gorse. Many varieties of wild Orchids, Cotton Grass, Sun Dew, Milkwort, Lousewort, Butterwort and Grass of Parnassus. A paradise for botanists. The history of Scotland comes to life with its ruined Castles, deserted villages, Crannogs, Brochs and Duns. Standing Stones have a history we don't fully understand and each one must have a tale to tell. The volcanic creation of the island formed beautiful mountain scenery and raised beaches. Sills, dykes, xenoliths were created and pillow lava flowed creating interesting rock formations.